Houseplant leaves tend to get dusty, and if they are in the kitchen they get greasy. When they're dusty or greasy, they loose their shine. Clean your plant leaves every three months to keep them healthy. Plants with smooth leaves are easy to shine. You can use home remedies, or household products to shine the leaves of your houseplants. You can make smooth-leaved houseplants so shiny they gleam in the sunlight. Umbrella plants, dieffenbachia, philodendron, bird of paradise, snake plants, crotons and palms will benefit from a shining every three or four months. Succulents, such as jade plant, rubber trees and some cacti that do not have sticky spines, can also be shined up. Do not attempt to shine the leaves of a plant that has hair on the leaves like African violets. You can do more harm than good. Just gently dust off the leaves periodically. 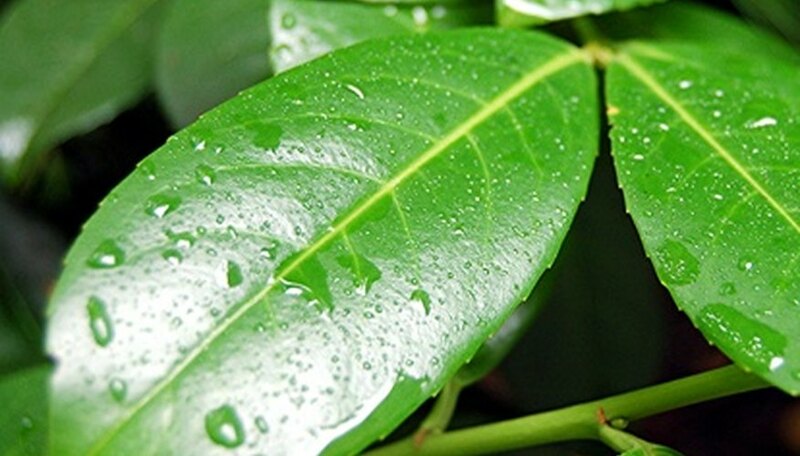 The easiest way to shine smooth-leaved houseplants is to put them in the shower. Spray them well with lukewarm water. Soak them well then let them dry in the shower for about one hour. To add additional shine, take a soft cloth and make sure each leaf is dry. Or, dip a rag in water with a little liquid dish soap. Wipe the leaf from stem to tip, removing any dirt. Wipe with clear water and dry. This will make them shine. Vinegar helps to get kitchen grease off of the leaves of houseplants. Fill a bowl with water and add a squirt or two of white or apple cider vinegar and wipe. Pour a little bit of milk in a bowl. Wipe each leaf with a with the milk and let it air dry. The milk does not sour on the leaves and it will not smell. Remove a banana from the peel. Take the peel and wipe the leaves of the plant with the inside of the skin. Use a soft cloth to shine the leaves of houseplants. An old T-shirt works well for wiping leaves. You can also use a soft, natural sponge, cotton balls or cotton socks. 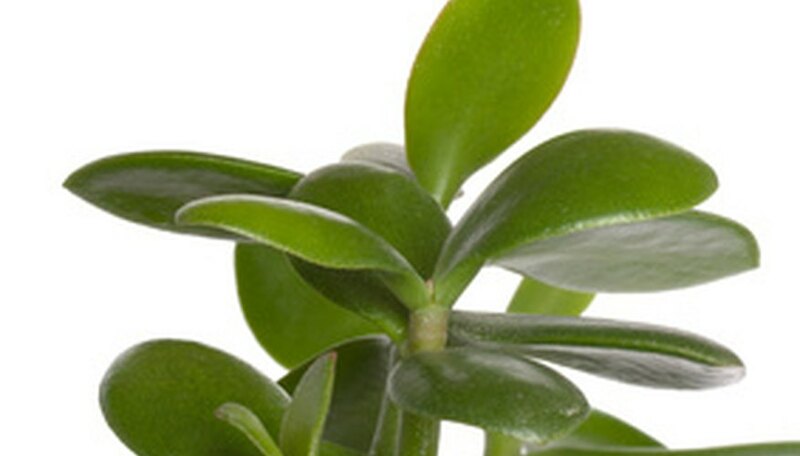 Be careful when using food products to shine houseplant leaves, as you run the risk of clogging the pores of the plant. The leaves of the plant allow the plant's transpiration or to expel oxygen. If they are clogged the plant will not be able to breathe well. Milk and vinegar are well established, and cause no problems. The banana peel is a relatively new remedy, but because no banana is left on the leaf, it is doubtful that it would harm the plant. Gardening Tips.net: Clean Houseplants with Banana Skins"